This model supersedes the LISST-100X. 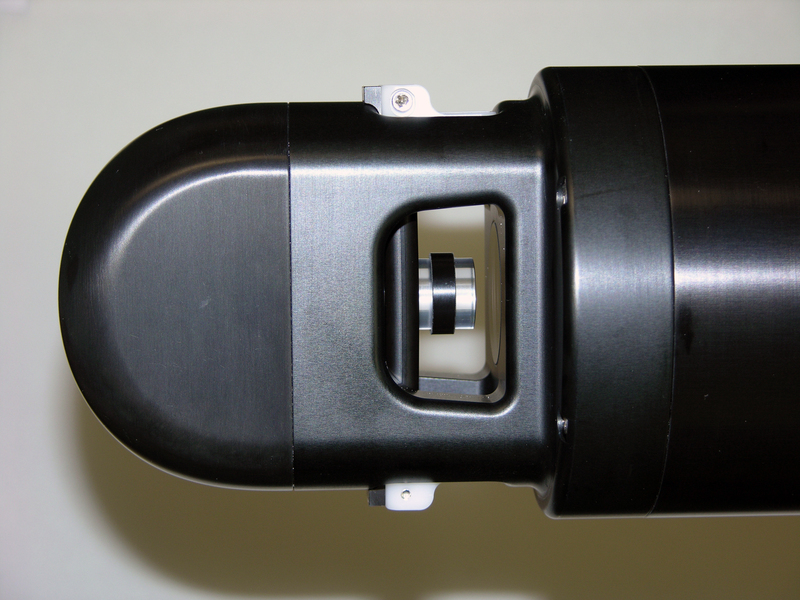 The LISST-200X marks a major advance in technology of our workhorse LISST-100X submersible laser-diffraction instruments used for use in rivers, streams, ports, harbors, coasts and oceans. It also measures the small-angle optical volume scattering function (VSF). Similar to LISST-100X, it too holds calibration for life. Small angle VSF: 0.039 to 13.8 degrees. The LISST-200X is a submersible laser-diffraction based particle size analyzer designed to measure particle size and concentration in rivers, streams, ports, harbors, coasts and oceans, whether for biological, sediment transport, or environmental monitoring needs. Applications include sediment transport studies, harmful algae blooms, oil spill dispersion effectiveness, dredge plume monitoring, etc. 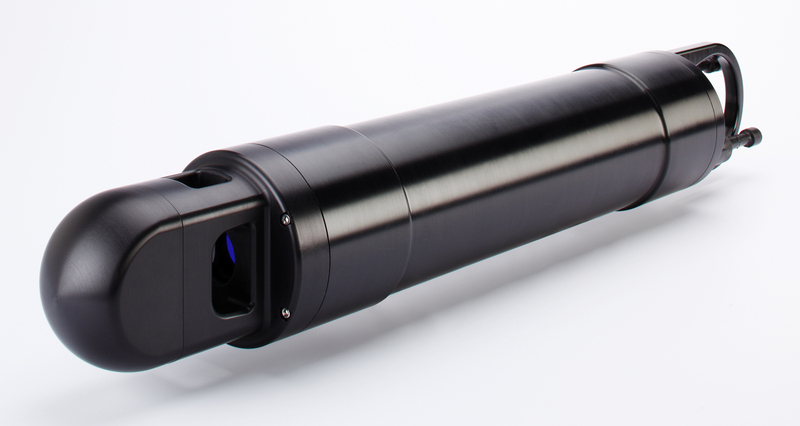 For marine optics applications the LISST-200X provides the small-angle Volume Scattering Function. 20 years of LISST-100X experience combined with feedback from users has led us to create this Smaller, Deeper, and Smarter Particle Size Analyzer. 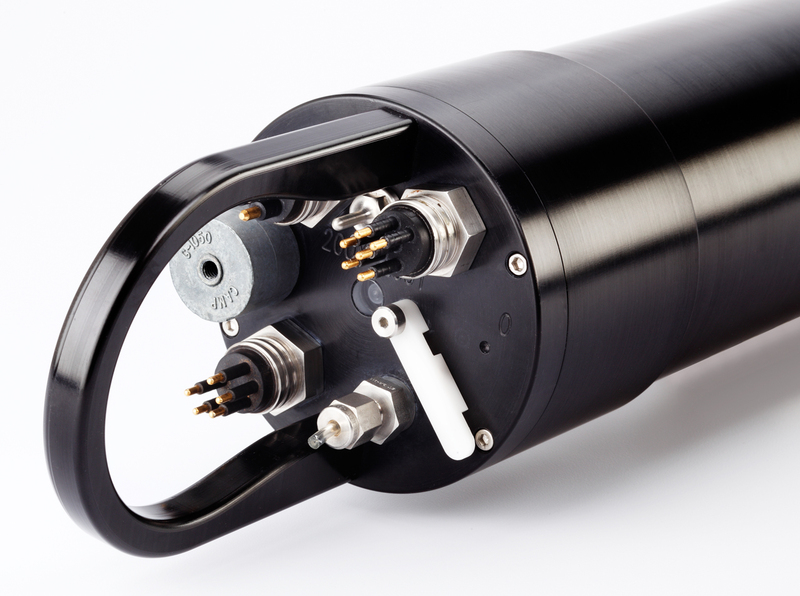 The LISST-200X is significantly smaller than the LISST-100X but it has also been made stronger and is now able to make measurements at twice the depth: up to 600 meters. 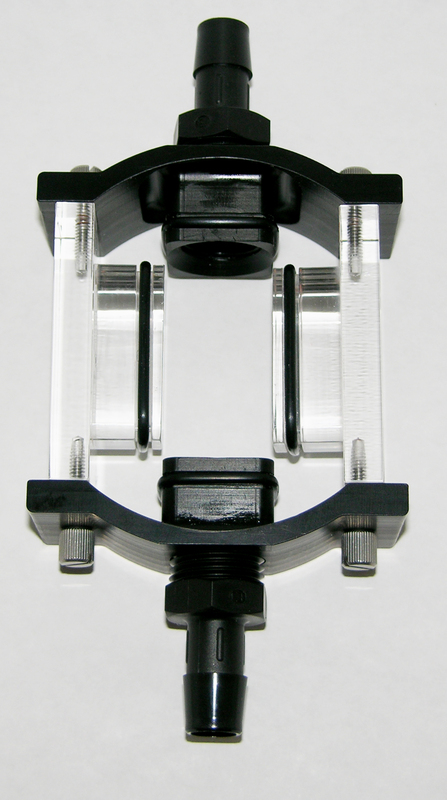 Improved optics cover the size range 1-500 microns in 36 size classes. The optics are also more robust and have improved rejection of ambient light. A superior depth sensor and a faster temperature sensor improve profiling data. 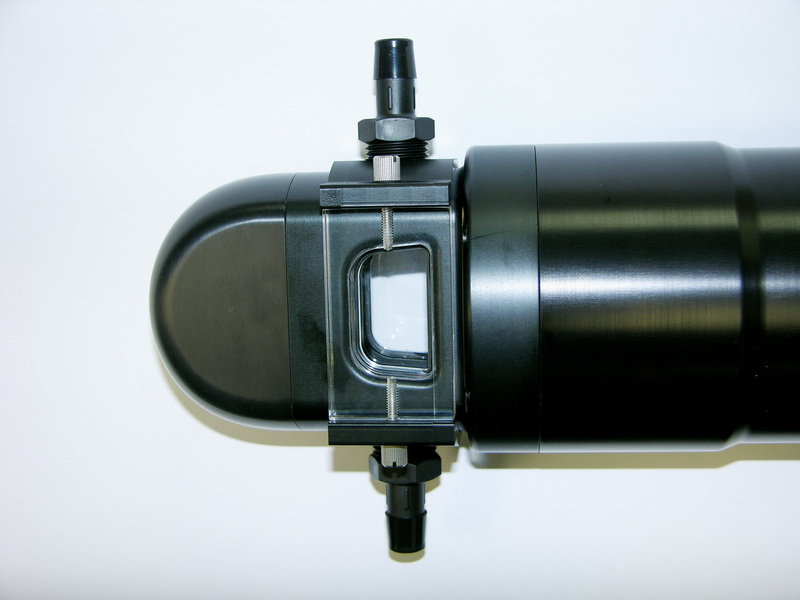 The 25mm optical path allows a wider working range of particle concentrations. Auxiliary information, such as calibrations and background files, are stored in the saved data file. All information needed to process the data are included in this single file, therefore alleviating the need for tracking multiple files. The LISST-200X also outputs the Mean Size and Total Concentration as analog voltages while simultaneously storing the full size distribution internally for later downloading. This allows real-time monitoring of summary data during profiles via existing CTD interfaces. A full range of accessories are available for the LISST-200X including small and large External Battery Packs, Path Reduction Module, Full Path Flow Through Chamber, Large Volume Test Chamber, Mixing Chamber (coming soon), BioBlock Anti-Fouling Shutter (coming soon), Settling Column (coming soon) and towed and AUV configurations. This next generation particle sizer is simply smaller, deeper and smarter, whether for lab or field use. What does the LISST-200X measure? 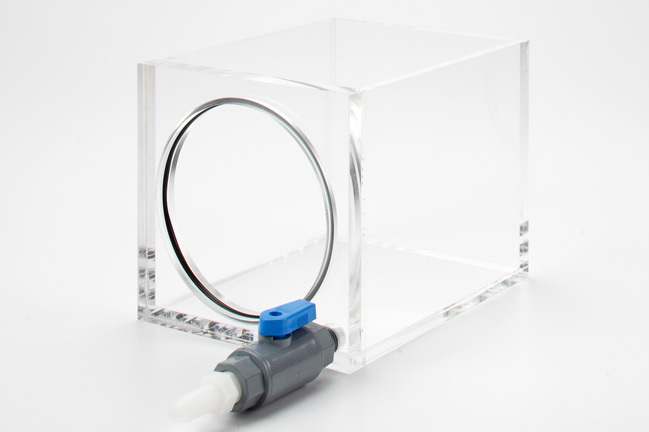 The LISST-200X measures the size and concentration of particles suspended in water. It can measure particles from 1 to 500 microns. It also measure the water temperature, depth, and optical transmission. How does the LISST-200X differ from the LISST-100X? How deep can the LISST-200X operate? 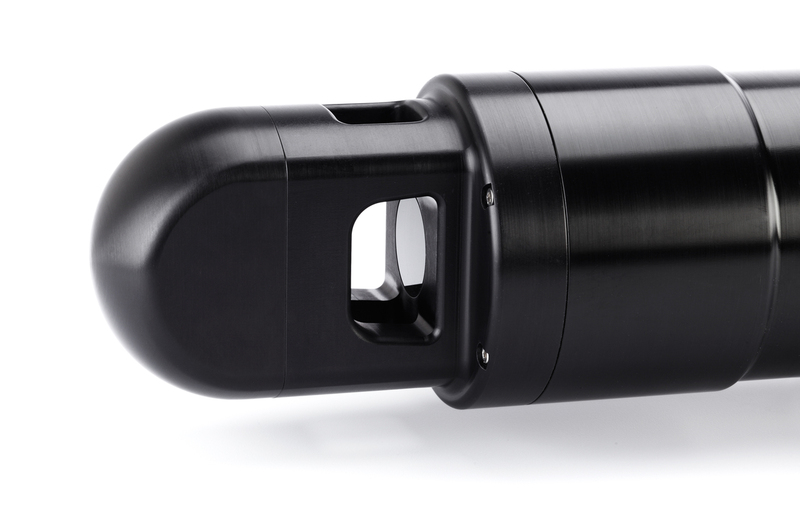 The LISST-200X has a maximum depth rating of 600 meters which is twice the depth of the LISST-100X. For deeper applications you can use the LISST-Deep instrument which is rated to 3000 meters. 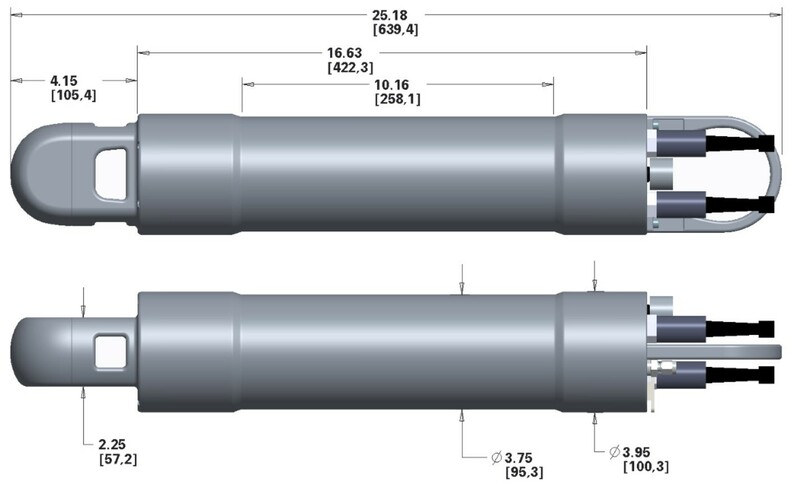 Can I add the LISST-200X to my CTD? The LISST-200X has been designed to plug right into existing CTD systems. 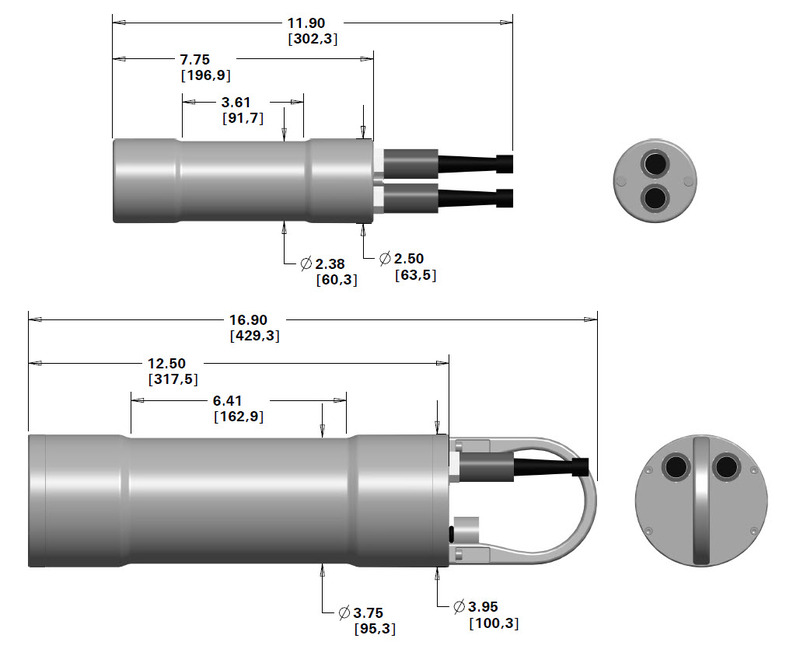 It has a dedicated 6-pin connector that is pin-to-pin compatible with SeaBird CTDs. The LISST-200X will receive power from the CTD and output the Mean Size and Total Volume Concentration as analog voltages that can be viewed in real-time through the CTD cable. The detailed size distribution information is stored on-board the instrument for later downloading. How fast can I tow or profile the LISST-200X? The LISST-200X uses laser diffraction to measure the size and concentration of particles. This scattering occurs at the speed of light. The speed of the water and particles passing through the laser beam does not change measurement. As long as bubbles not being generated or shear forces are breaking up particles of interest speed does not effect the measurement. How long does the Small External Battery last? The LISST-200X Small External battery uses two rechargeable NiMH D-cells. The LISST-200X can sample continuously at 1 Hz for 6 to 8 hours before the batteries will need to be replaced or charged. We provide 4 batteries with the LISST-200X so that two batteries can be charged while two are being used. An Excel spreadsheet is available to estimate the life of the battery when using different sampling conditions such as a burst every 15 minutes. Can I use the LISST-200X as a laboratory particle size analyzer? 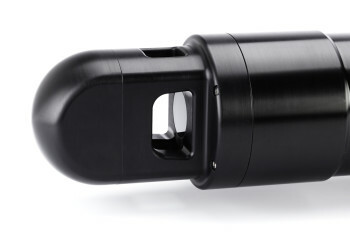 The LISST-200X is designed to be used submerged in water as its primary function. However, like with the LISST-100X, we offer small chambers with a built-in mixer or flow through capability that allows you to use the LISST-200X in the lab as a particle size analyzer. If the primary function of the instrument is to be laboratory instrument you might consider the LISST-Portable|XR particle size analyzer which is specifically designed to be used for laboratory particle sizing. What is a shape model and which should I choose?